Evernote's mission is to help individuals and groups remember everything, turn ideas into action, and work effortlessly together. Their Android app gives people the tools they need to get organized, take and save notes, and collaborate with others. Whenever Evernote sees a major new platform on the horizon, they set a goal to make sure Evernote is available from day one! Seeing the opportunity with Google Play available on Chrome OS, they decided to bring their app to the platform. Evernote focuses on making one app available on multiple platforms and form factors, so they used Chrome OS as an opportunity to improve the development processes for Evernote as a whole. 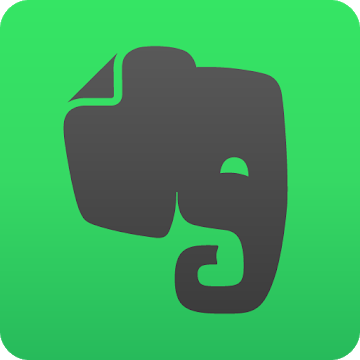 They spent some time making their code more modular to make the Evernote app not only great on mobile devices but also on larger form factors. There were specific features that Evernote took advantage of on Chrome OS. Evernote translates handwriting into text, and were very excited to use the new low latency stylus API to quickly implement touchscreen handwriting. Google's API renders strokes very quickly by allowing apps to bypass parts of the OS and draw directly to the display. The user experiences no latency, so it feels like they're actually drawing on paper. According to Evernote, people can't stop drawing because it's so fast, natural and smooth. It even pushed the Evernote team to level up on what their handwriting feature could be capable of doing. Since the keyboard experience on Chrome OS is different than a mobile keyboard experience, the team added keyboard shortcuts so people could quickly make a note. They also had to carefully consider how they wanted their toolbar to work on both mobile form factors and the larger Chromebook form factor, so they made some adjustments to make it more modular going forward. Additionally, they made sure the navigation supported their app hierarchy without the presence of a Back button. Evernote has received positive feedback from users about their Chrome OS experience, and finds they're spending more time on the platform than the average app user. The average Evernote user is spending 3x more time on large screen devices' and 4x more time when using the Google Pixelbook.